Groupe PSA (Peugeot S.A.), the French multinational that is the 2nd largest vehicle manufacturer in Europe, recently won the prestigious ‘International Engine of the Year’ award for the fourth consecutive time. 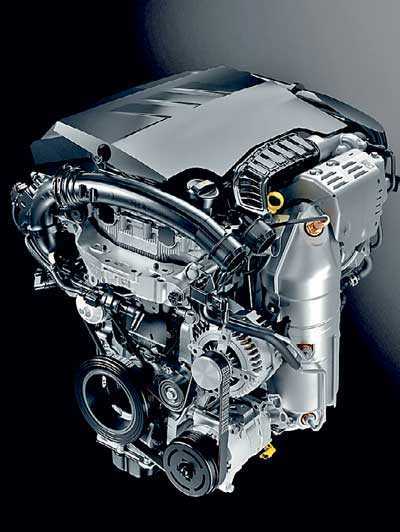 Now in its 20th year, the award, presented by the Engine Technology International Magazine, was adjudicated by a panel of judges in Stuttgart, Germany. The latest PureTech turbocharged, three-cylinder, petrol engine with 110 and 130 horsepower variants offers improved performance, with specific improvements in fuel consumption, engine response time thanks to an optimized turbocharger, as well as a 75% reduction in particulate emissions through the use of a gasoline particulate filter. Launched in 2017 on the new Peugeot 3008, the new generation power plant is now being deployed on PSA group vehicles across some hundred applications. The PureTech 3-cylinder engine is currently manufactured in France. In Sri Lanka, the award-winning PureTech engine is offered in the Peugeot 2008, 3008, and 5008 SUVs. The sole importer for Peugeot in Sri Lanka is Carmart Ltd., which has been importing Peugeot vehicles since 1953, making them the fourth oldest importer for Peugeot in the world, and the oldest in the Asian region. Launched earlier this year, the all-new 5008 7-seat SUV is achieving excellent sales in Sri Lanka, similar to its demand globally. Carmart is offering the Peugeot SUV range in Sri Lanka from Rs. 6.99 m (Rs. 3.8 m for permit holders) with a three-year comprehensive and 12-year anti-perforation warranty along with – for a limited time – four years/80,000km of free servicing, including oil, oil filter, air filter, fuel filter, pollen filter, and associated labour. For more information and to experience the award-winning PureTech engine first hand, visit the Peugeot BlueBox showroom at 424 Union Place, Colombo 2.